New York sweater weather always inspires me to go hunting. No, not for animals, for the perfect knits! This year, I found some very, um, special items. Let the wool-related rashes and general knit discomfort begin! As usual, I’ve linked to the items I liked. For more Etsy fun, check out all my weekly Etsomnia™ posts! For the baby clown in your life. I see where she was going, but she overshot by a bit. 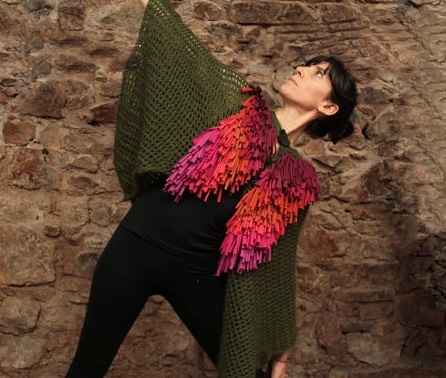 I would wear the hell out of this wonderful striped poncho by BonniesCinematheque, and I’d style it exactly like this! Nightmarish “lagenlook” pinafore dress and vest. By a seller whose terrible bag lady clothing inspired this post. 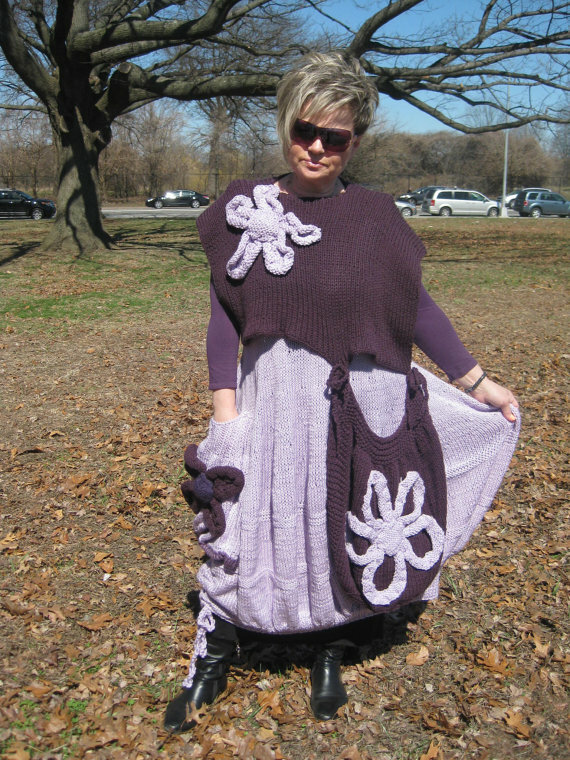 When you search Etsy for “chunky sweater,” this happens. I assume this seller’s mother was an earthworm. 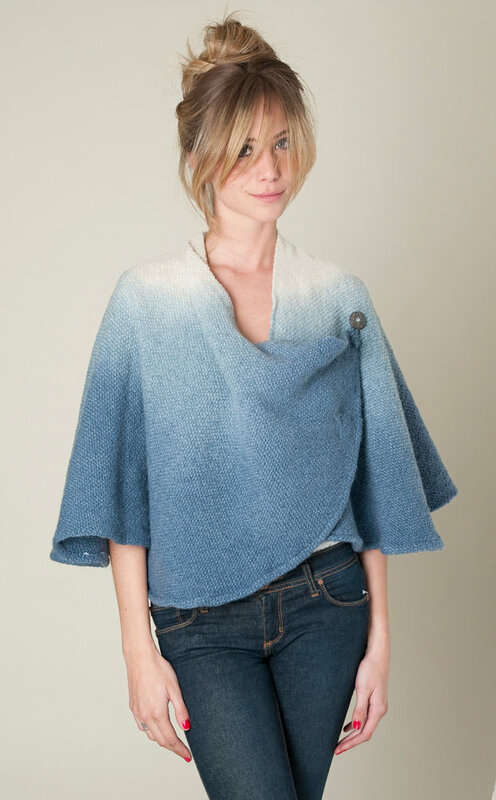 Ponchos can go either way. This one missed the mark by a mile. It looks like it should have 3-eyed fish caught in it. 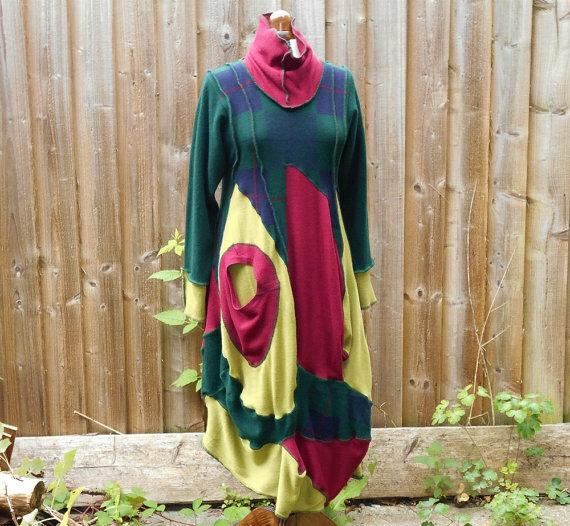 Described as “quirky” and “upcycled,” this dress seems to be aware of how tragic it is. It’s like they took an inoffensive jacket, then stabbed it until its innards fell out. It took me looking at this sweater for a while before I fully appreciated how great it is. Very complex and skilled use of color and tone by ToBeStudio. And speaking of Muppets . . . This seller couldn’t even be bothered turning her mannequin’s hand the right way ’round. 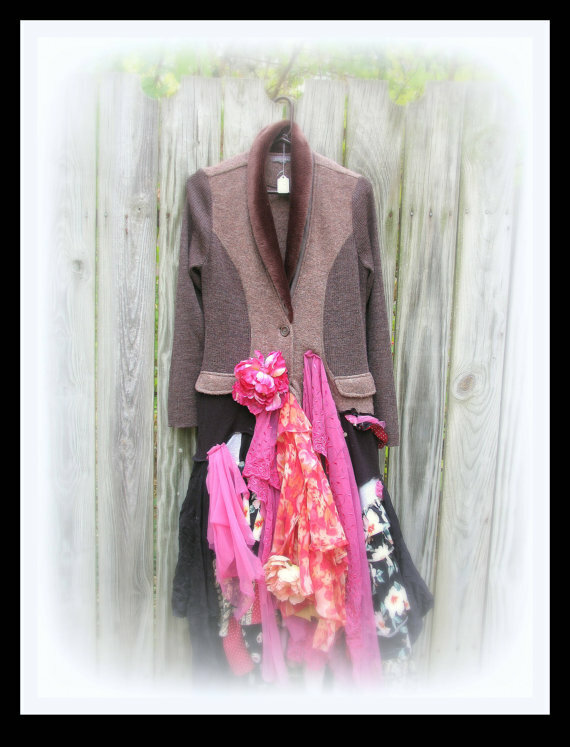 “Upcycled” sweater and skirt. 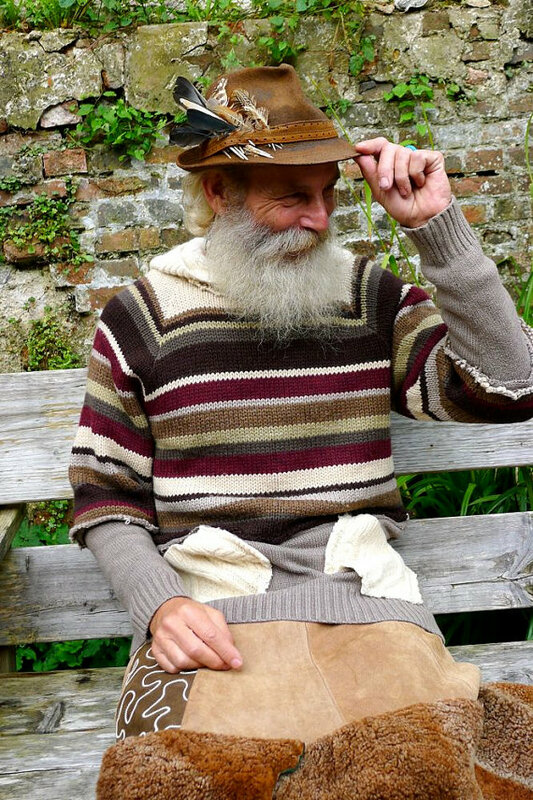 The next time you pass by a crazy-looking old man feeding pigeons, ask him where he got his skirt. I’ll bet you he says Etsy. “Christmas Sweater” is another one of those searches that never disappoints. By the hilarious FunkyXmasSweaters. 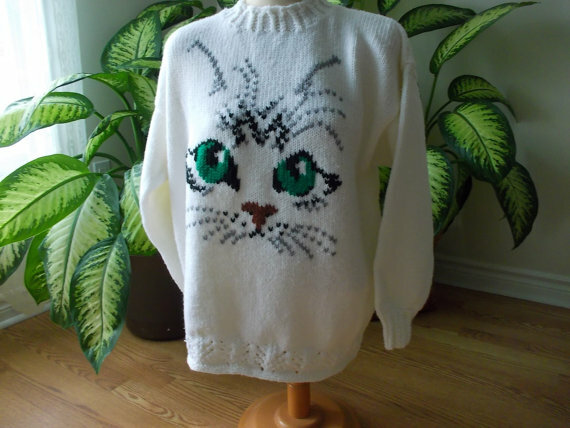 Unless this is what you’re going for, say no to cat sweaters. I will, and thanks for stopping by! Neon earthworms unite! 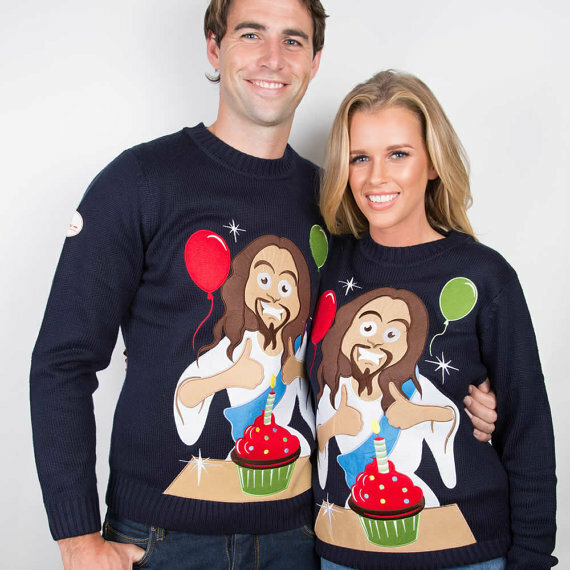 The Christmas sweater item reminds me of Awkward Photos. Yikes! 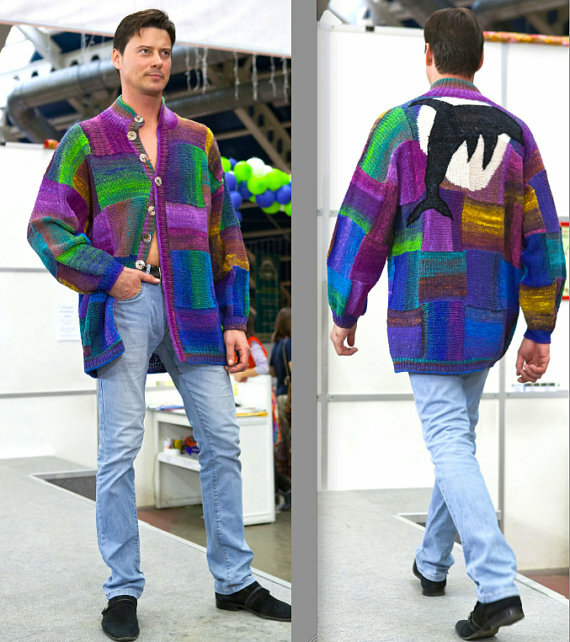 You had me at “[v]ery masculine dolphin sweater “! Ahahaha…oh thank you. I needed that. OMG I haven’t even scrolled yet and am laughing hysterically. Thanks! I so love Thursdays . . . This always happens. I laugh all the way through the post. Then follow links to what I like. Then hours later I emerge, poorer. Soon I’m going to be hiding CC bills from Michele. Before I buy, do we love or hate this: https://www.etsy.com/listing/194873145/boho-kimono-rust-ruana-shawl-oversized?ref=related-5 I kinda want it. I thoroughly love the shape. I wouldn’t buy it for two purely personal reasons. 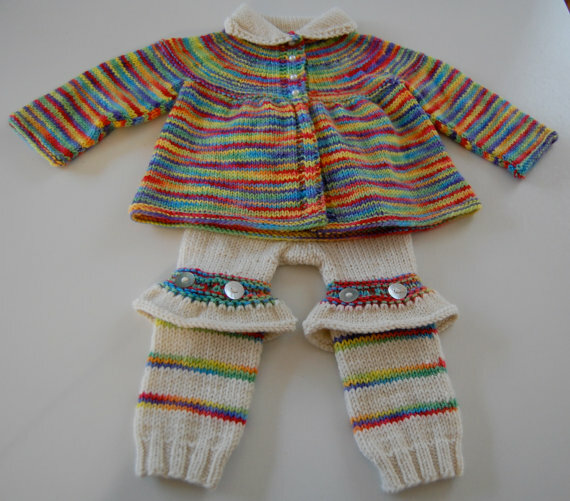 I am not an orange girl, and wool makes me desperately itchy and rashy. 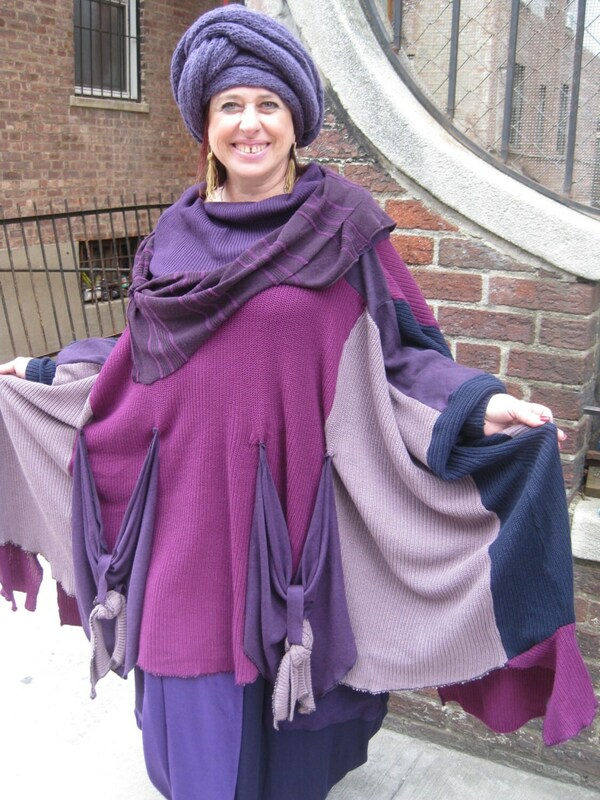 However, if it were purply/grey and cashmere, I’d be all over that bad girl. If you like it, buy it. And don’t tell Michele I said so, please. I get in enough trouble with my own wife. 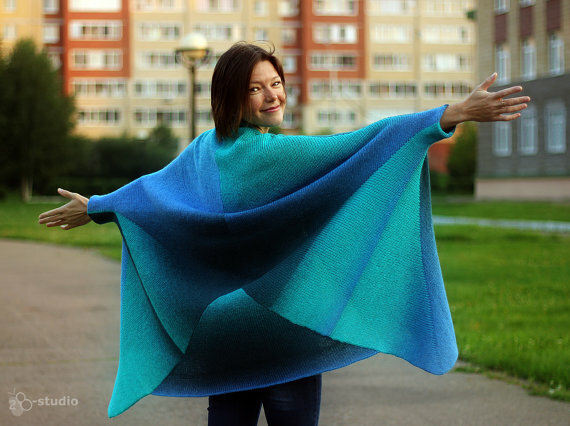 So, the shawl is coming to live with me. 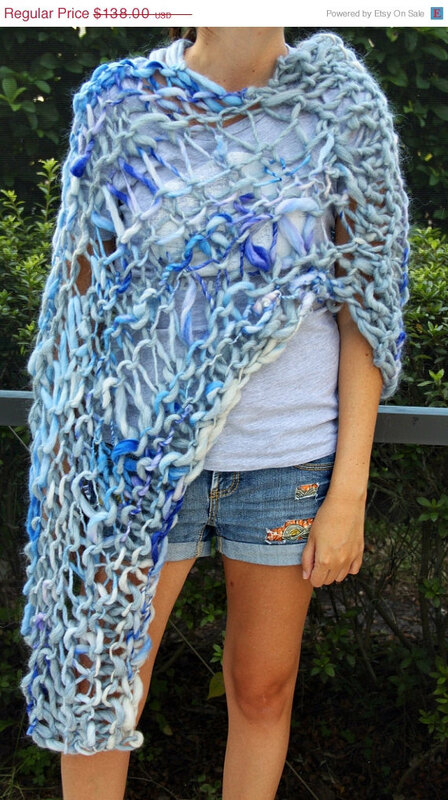 I told Michele I was supporting a poor single mother in Uruguay who makes these items to support her family. Whatever works, right?